Meet Annie: Hello!  I’m the founder of Evergreen Counseling and a licensed marriage and family therapist. I received my undergraduate degrees from Brown University and my graduate degree from California Institute of Integral Studies. I’ve been in private practice in since 2013. I also have a particular interest in working with those who identify as and struggle with being un- or under-parented and/or first-generation (whether this is in education, profession, or culturally). What drew me to this work: Every step of my journey – beginning with my own need to heal from and thrive after very challenging beginnings – has led me to this work. From helping to run an Ivy-league student mentoring program, to serving in the Peace Corps, to living and working at Esalen Institute for nearly four years in my mid-twenties, the archetypal work of counseling – of learning how to help people to navigate challenging situations and feel better in their lives – has been a constant thread throughout my whole life. Becoming a licensed psychotherapist and founding Evergreen Counseling in the community I call home allows me to do what I love the best: help others. My style: Warm, engaged, direct, relational. Services I offer: In-person individual, couple, and family therapy as well as online video counseling for residents of California. Pre-Clinical Fellow, American Association of Marriage and Family Therapists. Psychotherapist in private practice, October 2013 – present. Annie Wright and Evergreen Counseling serves Berkeley, Oakland, and the surrounding areas such as Albany, El Cerrito, and Richmond. We’re also near the campus of UC Berkeley and are available for students and faculty.